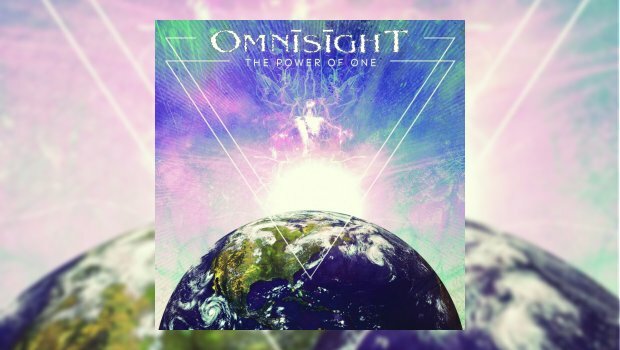 The Power of One is the latest release from Vancouver-based progressive rock/metal band OmnisighT. Musically, the album has an overall classic ’80s/’90s sound that is melodic with big hooks and technical guitar solos. The album’s strength lies in the band’s ability to diversify the style and sound of each song while maintaining a cohesive overall sound. The riffs in Shift the Paradigm and Seven Sisters tend to have a classic metal sound, while Resistance features heavy, downtuned riffs influenced by modern metal styles. The cohesiveness comes from the interplay of straight melodic sections with more heavily syncopated sections and the layering of straight melodies over accompaniments based on syncopations and hemiola. The virtuosity of these performers is perhaps most evident on my favorite track from the album, Fall of the Empire. This seven-minute instrumental track is a microcosm of all that makes the guitar work on this album so interesting: the crunchy riffs, the technical-yet-lyrical melodic playing, the harmonised dual leads, and the interjection of occasional straight-up shredding. Most importantly, it maintains interest and momentum throughout. In my opinion, Seven Sisters is the weakest song on the album because it is about twice as long as it should be. I know it is silly to complain about long songs with progressive rock, but this one just feels like it goes on too long. The bulk of the song, the entire lyric, fills the first two and a half minutes, then after an instrumental interlude, there is a reprise of the chorus and the last two minutes of the song is another instrumental section that just stops abruptly. If it was transitioning into the next song or had some sense of direction then I wouldn’t have a problem with it, but as it is, I kept waiting for an arrival that never happened. No more wading in this mediocrity. If I have a criticism of this album, it is the vocal style. It is not that Raj Krishna’s vocals are poor quality, they just seem better suited to a different musical style. It may just be a personal preference on my part, but the vocals on this album do not really connect with me.